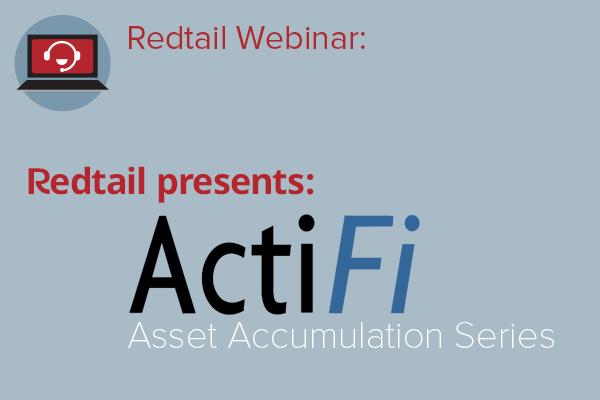 When your primary objective is to increase your assets under management, Redtail and ActiFi's Asset Accumulation Series is here to help you achieve that goal. These highly effective, structured programs will give you the skills, resources, and support you need to find new clients and increase AUM from existing clients. Hosted by Redtail and presented by ActiFi, this 7-part series will help you understand how to leverage processes to enhance your business development, efficiency and effectiveness.